JOHNSON, GEORGE HENRY MARTIN (Onwanonsyshon), Six Nations chief and interpreter; b. 7 Oct. 1816 at Bow Park, near Brantford, Upper Canada, eldest son of John “Smoke” Johnson and Helen Martin; d. 19 Feb. 1884 at Chiefswood, near Brantford, Ont. George Henry Martin Johnson was born in the ancestral home of his mother’s family on the Grand River. According to Mohawk custom his parents had lived with his mother’s parents until the birth of their first child but soon after George’s birth they settled on their own farm some one and a half miles to the north and it was here that George spent his childhood. In the early 1830s he was educated at the Mohawk Institute, the school established for Indian children on the outskirts of Brantford by the New England Company and run by the Reverend Abram Nelles. During this period the young Mohawk displayed an amicable personality and an “aptitude for learning,” being especially proficient in languages. In 1838 the Reverend Adam Elliot* became the Church of England missionary to the Grand River Indians, an event that was to have a great impact on George Johnson’s personal and public life. 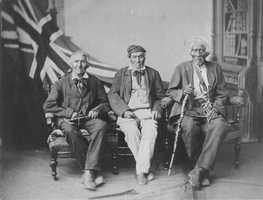 When Elliot could not master the intricacies of the Mohawk language and required the services of an interpreter, he and Nelles agreed on Johnson for the position. In 1840 George was formally appointed interpreter for the Anglican mission on the reserve, the first of a series of posts, including interpreter to the superintendent, timber ranger for the reserve, and various positions on the Six Nations Council, which made him an important figure in the conduct of local white-Indian relations for the next 40 years. Johnson’s position as interpreter necessitated his living with the Elliot family, where he met the missionary’s young sister-in-law, Emily Susanna Howells, apparently a cousin of American novelist William Dean Howells. Her family had emigrated from Bristol, England, to the United States and in 1845 Emily had come to live with her sister Eliza Beulah at the Anglican mission near Brantford. By the early 1850s, George Johnson and Emily Howells had decided to marry, a decision that roused opposition from both families. George’s family, indeed the Indian community, did not approve of his marrying a white woman because she would then acquire Indian status and the right to a portion of her band’s annuities and other benefits, and Emily’s relatives were scandalized by her desire to marry a “savage.” Both attitudes illustrate the gulf which separated the Indian and white communities in the mid 19th century. When Elliot refused to perform the ceremony, the couple sought out a more sympathetic Anglican priest, the Reverend William Greig, who married them at Barriefield, near Kingston, Canada West, on 27 Aug. 1853. As a wedding present for his bride, George had a new house, Chiefswood, built on a 200-acre plot on the east bank of the Grand River. The relative opulence of this Regency villa is reflected in Johnson’s Indian name, Onwanonsyshon, translated as “lord of the great house.” In this house, which stands today, restored, the four Johnson children, two sons and two daughters, grew up. The youngest, Emily Pauline* (Tekahionwake), became well known as a poet and lecturer. In 1862, Jasper Tough Gilkison was appointed superintendent to the Six Nations Indians, a post he held until 1891. He became a frequent guest in the Johnson household and relied upon George’s judgement in the administration of affairs on the reserve. The upshot of this close association was Johnson’s appointment as government interpreter for the Six Nations. Shortly before this appointment he had been elected Teyonhehkon, one of the 50 great chiefs of the Iroquois Confederacy, to succeed his maternal uncle, Henry Martin. Such a chieftainship descended matrilineally and Johnson’s mother, as chief matron of the Mohawks, had nominated George. Her choice had been quickly ratified by the great council but George’s acceptance of the government post led many chiefs to wonder if it was proper to have an employee of the imperial government on their council. After much discussion the council decided to displace him. The power of the chief matron then became apparent; Helen Martin appeared before the council and, after soundly berating its members, threatened that she would not nominate a successor if her son were removed. A compromise was effected. George remained a hereditary chief but a council resolution, which usually required a unanimous vote, would be valid without his assent. His status as a chief combined with his government connections, his family’s position, and his ties with the Anglican presence on the reserve to make Johnson a powerful figure in the community. The Grand River Reserve had long been plagued by “groups of white ruffians” who sold liquor to the Indians and by the more respectable timber plunderers who, in collusion with members of the reserve, illegally used Indian lands as a source for prized varieties of timber sought by the lumber companies now that farmland had replaced much of the hardwood forest in southern Ontario. The Indian Department had customarily appointed local notables as timber rangers or special constables but after 1860 Johnson took a leading part in the attempts to suppress both the illicit timber trade and the ready traffic in liquor. The success of his efforts, and the desperation of his opponents, finally led to violence. In January 1865 Johnson was unconscious for five days after being beaten by two men, one of whom was later imprisoned for five years for his part in the affair. In October 1873 the chief was again severely injured when six men shot him and left him for dead on the road near his home. He recovered from his wounds but his health was permanently affected and he frequently suffered from neuralgia and erysipelas. This last attack, however, “aroused a flame of popular indignation” amongst whites as well as Indians; although the six assailants were not tried, many of those exploiting the reserve either ceased or were punished. In the last decade of his life Johnson was occupied with the affairs of the reserve’s agricultural society which he had helped found; he was also a member of the Provincial Horticultural Society. A well-known figure, he was often invited to official functions as a representative of his people and government representatives invariably called on him when visiting the area. 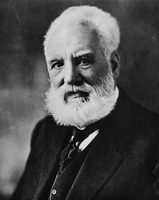 On 10 Aug. 1876 he was present in Brantford at Alexander Graham Bell*’s first demonstration of the telephone. Students of Iroquois culture and society generally received a hospitable welcome from Johnson and in the years before his death he formed a warm friendship with the American philologist, Horatio Emmons Hale. George Johnson’s life was not a spectacular one; his daughter’s fame far eclipsed his own. Yet his career is important and instructive for it elucidates the difficulties, and the possibilities, experienced by the Six Nations of the Grand River in their relationships with the surrounding white community. PAC, RG 10, CI, 6, 803–93. UWO, Gilkison papers. H. [W.] Charlesworth, Candid chronicles; leaves from the note book of a Canadian journalist (Toronto, 1925). Mrs W. G. Foster [A. H. Foster], The Mohawk princess, being some account of the life of Tekahion-wake (E. Pauline Johnson) (Vancouver, 1931). Katherine Hale [A. B. Garvin], Historic houses of Canada (Toronto, 1952). The history of the county of Brant, Ontario . . . (Toronto, 1883). E. P. Johnson, Flint and feather, the complete poems of E. Pauline Johnson (Tekahionwake) (Toronto, 1931); The moccasin maker (Toronto, 1913). C. M. Johnston, Brant County: a history, 1784–1945 (Toronto, 1967). Marion MacRae and Anthony Adamson, The ancestral roof: domestic architecture of Upper Canada (Toronto and Vancouver, 1963). Walter McRaye [W. J. McCrea], Pauline Johnson and her friends (Toronto, 1947). F. D. Reville, History of the county of Brant (2v., Brantford, Ont., 1920). H. E. Hale, “Chief George H. M. Johnson – Onwanonsyshon: his life and work among the Six Nations,” Magazine of American Hist. (New York), 13 (January–June 1885): 131–42; “An Iroquois condoling council,” RSC Trans., 1st ser., 1 (1883), sect.ii: 45–65. E. H. C. Johnson, “The Martin settlement,” Brant Hist. Soc., Papers ([Brantford]), 1908–11: 55–64. Douglas Leighton, “JOHNSON, GEORGE HENRY MARTIN,” in Dictionary of Canadian Biography, vol. 11, University of Toronto/Université Laval, 2003–, accessed April 24, 2019, http://www.biographi.ca/en/bio/johnson_george_henry_martin_11E.html.